The Gosling Family Tree has been updated to include the descendants of Cecil Harry Gosling. We have received a copy of a photgraph taken between 1910 and 1914 showing Pelham Simmonds and other School boys of Areley Kings School gardening. The names of the boys and the schoolmaster were written on the back of original photograph and so are assumed to be correct. They include Billy Milward, Cecil Glaze, Arthur Watkins, George Kendrick, Gilbert Breakwell, John Cook (Schoolmaster), Pelham Simmonds, Ted Jones, Harold Morris, Jack Dimblebee and Tommy Ward. For more information and a larger image click on the image above or goto the page for Pelham Simmonds. Details added about a 1939 Walsall Lithographic patent (506076), credited to Sidney George Gosling, regarding the production of composite labels incorporating metal foil. The photo above is of William Arthur Gosling (shown on the right) and was taken in Corsica during the First World War. We would welcome any information about William Arthur Gosling , born in 1891 in Wookey Hole, Somerset, or any information regarding his time in Corsica, please use the Contact Form. 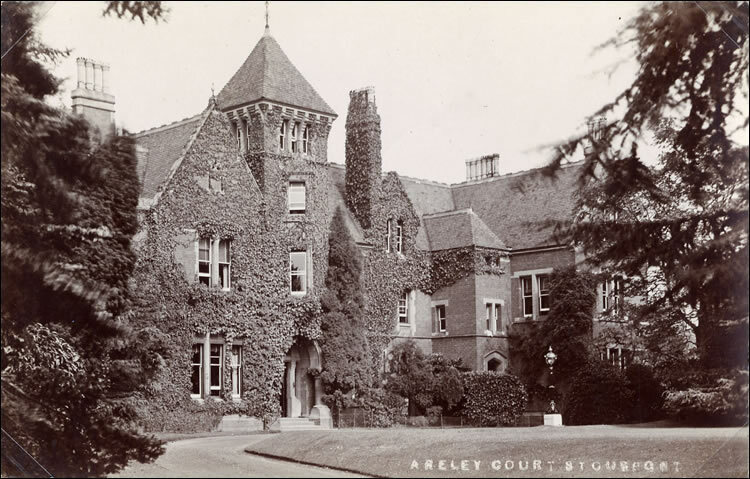 Asaph Simmonds worked as a Domestic Coachman at Areley Court, Areley Kings, Stourport around 1905. He was in the employ of Edward A. Broome a worsted manufacturer for the carpet industry. Unfortunately the house was destroyed by fire in the late 1930's and remained derelict until it was demolished in the 1980's. The gate house still remains as a private residence on the main road. We would welcome information about the house or its owners, please use the Contact Form. This website is the result of many years research by Andrew Gosling and Jennifer Kelly. This has involved long hours on the Internet, visits to public records offices getting dizzy from reading microfilms, tramping around graveyards, searching through old newspapers and driving family members mad with endless questions! The Gosling side of the family can be traced back to Thomas Gosling Snr who was born in the late 1700s although at the moment we know little about him. However, we do know that Thomas Gosling Jnr was born in Somerset and that the family stayed around that area until Sidney George Gosling moved to Walsall in the West Midlands where he worked at the Walsall Lithographic Company. George Morgan Gosling was a prominent member of the Bristol Master Builders Association and he also spent some portion of his life in the Transvaal, South Africa where he took an active part in the construction of the railway to Kimberley. 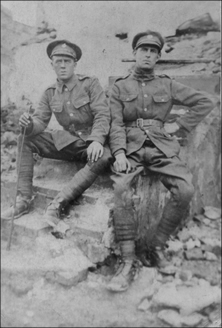 Mabel Gosling (daughter of George Morgan Gosling) emigrated to Canada and married George Hawke Hiffernan, a Canadian serviceman who she met at the Beaufont Hospital in Bristol where she was a volunteer nurse during World War One. 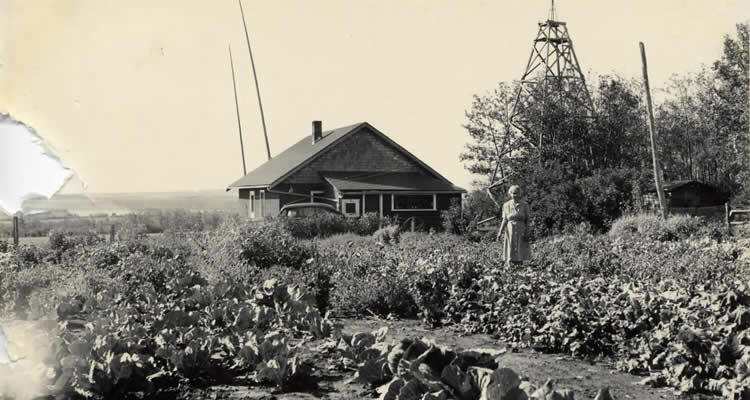 The photograph above is held in the South Peace Historical Society Archives, Dawson Creek, British Columbia and shows Mabel Hiffernan (nee Gosling) on the Homestead at Rolla. The Simmonds side of the family can be traced back to Jonathan Simmonds who was born in Suffolk in 1781. The family stayed around the Suffolk area until around 1905 when Asaph Simmonds moved to Areley Kings in Worcestershire to work as a Domestic Coachman for E.A. Broome at Areley Court. Pelham Robert Simmonds moved to Areley Kings with his father Asaph and later he lived in Stourport-on-Severn where he had his own shoe repair business. 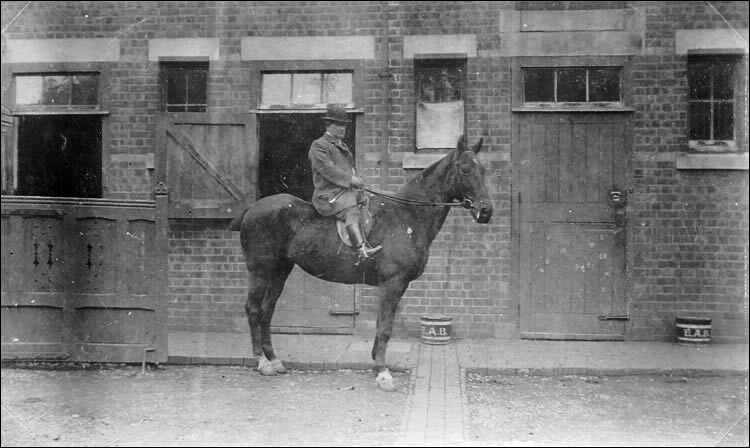 The photograph above shows Asaph Simmonds working as a Domestic Coachman at Areley Court, Areley Kings, Stourport employed by Edward A. Broome. The following Family Tree is a simplified version showing only the direct ancestors with respect to myself, Andrew Gosling. More comprehensive Family Trees for both the Gosling and the Simmonds families are available to download in PDF format. If you would like further information, have information that you would like to contribute, or would just like to get in touch, then you can make contact by completing the Contact Form. We are still researching the Gosling and the Simmonds families so why not Register to receive email notifications when new information is added to the website. You can choose to receive notifications for the Gosling family, the Simmonds family or for both families. 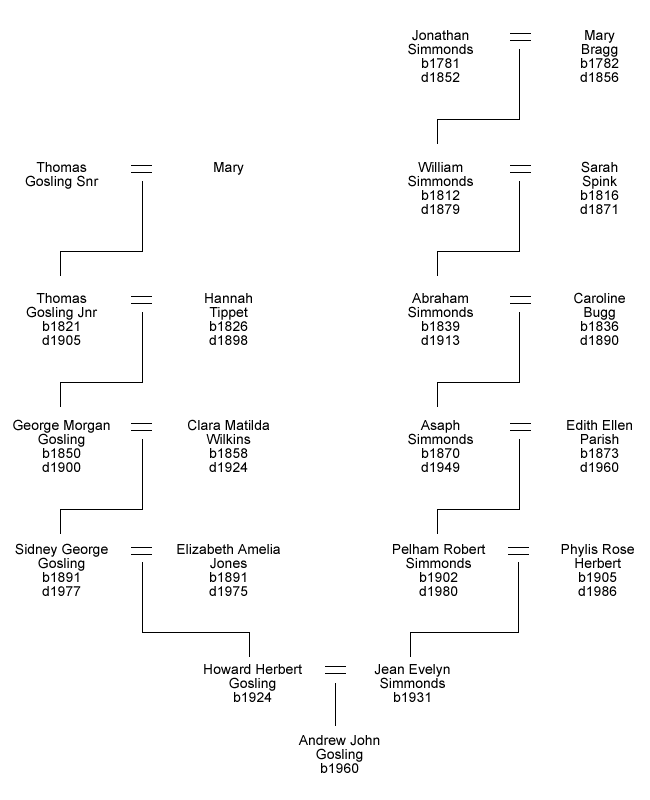 If you have just started to research your own family tree then I have included a selection of useful Links which I would recommend looking at. If you experience any problems on this website, have any comments or suggestions then please let me know using the Contact Form.